The training package offered by the 61st Wing continues to attract delegations from all over the world. 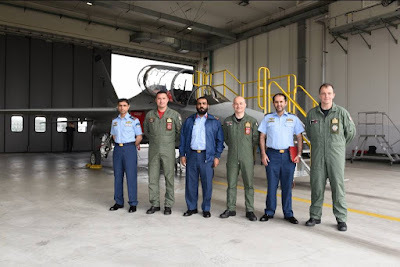 United Arab Emirates Air Force visits Italian Air Force flight school and M-346 Integrated Training System. 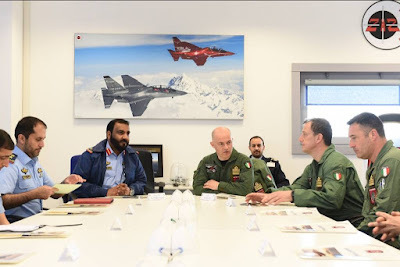 On March 11, 2019, a delegation of the United Arab Emirates Air Force (UAEAF) visited the 61st Wing at Galatina air base, South Italy, to closely observe the pilot training package offered by the Italian Air Force and International Flight Training School (IFTS). 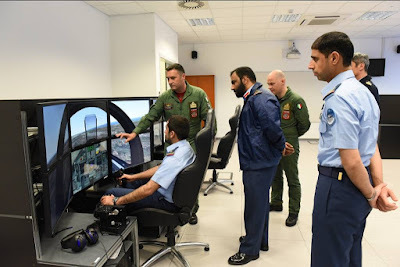 After receiving the main information about the Unit by Colonel Alberto Surace, Commander of the 61st Wing, the guests visited the Ground Based Training System, which is the infrastructure that houses the advanced flight simulators. They showed considerable interest in the enhanced training package offered by the IFTS. 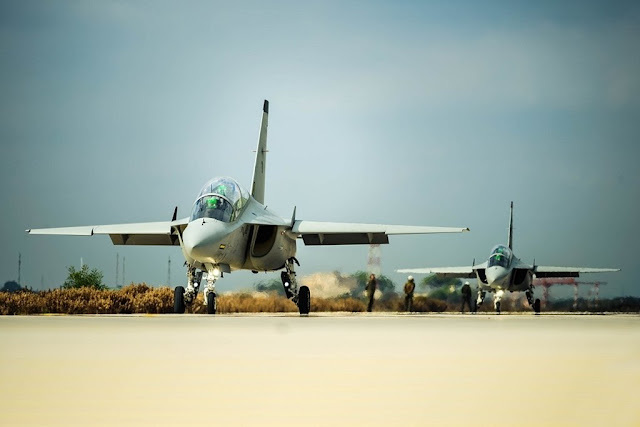 The IFTS is the training school launched by the Italian Air Force together with the aerospace company Leonardo in 2018 and boasts the most advanced training systems available to date. The emirates officers were impressed by the peculiarities of the T-346A Integrated Training System which allows the perfect integration of the aircraft with its flight simulator. The Full Mission Simulator (FMS) allows students to perform joint missions with pilots who are in real flight. The T-346A and the FMS have all the key features to train the next generation combat pilots. Currently the 61st Wing hosts student pilots from eight foreign countries such as the United States, Spain and France. Starting next year, the flight school will introduce the new integrated system based on the M-345 HET - High Efficiency Trainer (named T-345 by ItAF) which will gradually replace the obsolete T-339A (used for Phase II) and FT-339C (used for Phase III) fleets.